All records of Sir Don Bradman is an article dedicated to the greatest batsman ever in the history of cricket. Sir Donald Bradman with his immaculate performances and greatness of a height which would bring shame to the Everest itself, remains the greatest of all time (GOAT). All Records Of Sir Don Bradman is but a humble attempt at establishing the magnitude of Bradman’s success and talent, something the present generation is clearly unaware of. Without a doubt, the greatest batsman ever in the history of this game called cricket. Sir Donald Bradman, the Australian legend, has set limits which may never be conquered. All Records Of Sir Don Bradman clearly proves that Bradman cannot be compared to anyone. There’s a big debate regarding Sachin Tendulkar’s comparison with Sir Don Bradman. But what these ‘new age’ cricket fans fail to understand is that Sachin cannot be compared to the Don. Yes of course Sachin Tendulkar has played for almost 25 years now and not just survived but set new standards every time. His longevity is a key factor in determining his status as the GOAT. Almost every batting record goes to Sachin Tendulkar and he continues to explore the game. But one must observe Don’s career statistics first which include big hundreds scored at will, converted into double hundreds and those mind boggling averages which look totally unreal. 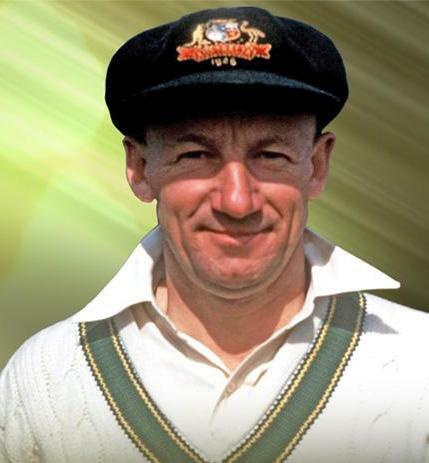 All Records Of Sir Don Bradman outlines the importance and weight of Bradman’s achievements. Don played for a very short period of time and that too with primitive gear and tighter rules and regulations. Don, in such a short period of time, almost reached the 7000 runs mark. One can only imagine how many runs he would’ve scored had he been around today when Test matches are played in great numbers, as compared to Bradman’s time when cricket was more of a leisurely activity. But let us not indulge in that debate and suffice it to say that the comparison should never be made. We can always have two greatest ever batsmen. (1) Sir Donald Bradman holds the record for the highest batting average in Test cricket. The average is somewhat unbelievable, it stands at 99.94 people. Yes, 99.94, that’s right…. you heard it. Another important feature of All Records Of Sir Don Bradman. (2) Bradman has crossed the 200 mark twelve times in his cricket career. Interestingly, he played for such a short period of time and yet holds the record till date. (3) Don Bradman is the only player in the world to have scored 5000 runs against a single opposition. He has scored 5028 runs against England. (4) Bradman also holds the record for the maximum number of double hundreds in a series. The number stands at three double hundreds in a series. All Records Of Sir Don Bradman, the compilation, gets bigger. (5) Bradman is the only batsman in Test history to have scored 974 runs in a single series. All Records Of Sir Don Bradman, the list, is now laughing at other batsmen. 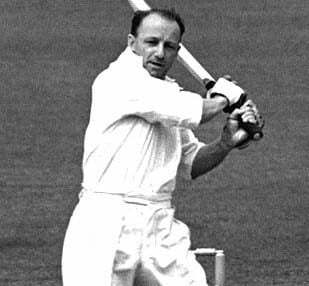 (6) Bradman holds the record for the highest 5th wicket (405 runs with Sid Barnes) and 6th wicket (346 with Jack Fingleton) partnership in Test matches. (7) Bradman has also scored a triple century twice in his career. (8) Bradman has another unique record to his name. All Records Of Sir Don Bradman tells you about Bradman’s record of scoring 500 or more runs in seven Test series. (9) Bradman remains the only batsman to have scored six consecutive centuries. (10) He is the only established player to score more centuries than half centuries in his career. What more can be said about the great man. To add more to it, it was Bradman’s wife who first pointed out that Sachin Tendulkar was going to be someone because he looked like the Don himself when he played. Bradman later confirmed that Sachin will surely turn out to be a great player, a true legend. It is sad that fans today have forgotten or completely ignored the Don’s legacy. All Records Of Sir Don Bradman attempts to revive the Don and his legacy. All Records Of Sir Don Bradman wants the fans to know about Bradman’s career. All Records Of Sir Don Bradman wants you all to understand that the Don remains the greatest of all time.